A powerful tool used to convert OLM to PST, EML and MSG formats with all mail contents included. The tool also allows splitting the files into manageable sizes after getting converted from MAC Outlook to PST. Scan multiple OLM files and export to PST from Mac Outlook 2016. Migrates Outlook 2016/2011 data (Emails, Calenders, Contacts) to Windows Outlook. OLM to PST Converter previews emails with corresponding attachments. Divides the large sized PST into convenient sizes during conversion. There is no file size limit for Mac Outlook to PST migration. Mac OLM to Outlook PST Converter supports all Outlook versions including 2016, 2011.
installation is necessarily required to migrate Outlook 2011 to Window Outlook. The software converts Mac Outlook to windows Outlook PST and along with all the data like; Email, Calendar, Task, Contacts, Notes into the PST, EML or MSG format. There will not be any data loss after migrating OLM file to PST. The software exports PST from Mac Outlook 2011 and generate a preview of the whole data items along with the corresponding attachment. Demo version shows a preview of the whole data. The tool supports the OLM file of Mac Outlook 2016, 2011.
files to be converted. This way you can reduce time and remove the overhead of converting multiple OLM files one by one. It provides a beneficial function that helps us in moving OLM file emails into other desktop email clients by converting emails to EML or MSG formats. Thus, you can export the output files to supported clients. The tool converts and creates a backup of Outlook 2011 in PST, of any manageable size even if the size is exceeding the guaranteed limit. There is no file size limitation, you can export any size of OLM file to PST. The utility offers to convert Mac OLM to PST file in Unicode format. Thus, the resultant PST file can be viewed, accessed or imported on any edition of Microsoft Outlook. Mac Outlook to PST Converter assures that original structure of the folders and sub-folder will remain the same as the hierarchy is maintained. Hence, the created PST file will have the same hierarchy. OLM to PST Converter cannot be installed on the Mac OS. The conversion can be carried out only on a Windows based machine. The tool requires a Windows OS to perform Mac Outlook 2011 export to PST. Migrate Mac Outlook to Windows Outlook, the process requires MS Outlook installation for the connectivity purpose. In the Absence of MS Outlook, the process cannot be carried out. Outlook 2011 to PST Converter capably converts the OLM file data to ms Outlook PST in a user controlled manner. The software lets customize the conversion by using checkmarks to perform a selective data export. Why User Needs to Migrate Mac Outlook to Windows Outlook? 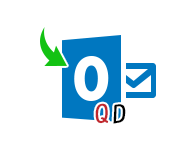 All problems regarding Mac 2011 for Outlook comes to end when user import OLM to Outlook Windows. So, resolve issues & errors associated with Outlook for Mac and make a switch with OLM conversion tool. Mac Outlook doesn't support HTML & RTF format. Issues are surfaced in opening hyperlinks to files residing on company server using Mac Outlook. This version of MS Outlook doesn't open normally. In Mac Outlook, a blank line appears in messages and contacts are not displayed accurately. Information sometimes goes missing from contacts or calendars. Outlook responds slowly after OLM file approaches 20 GB of size. For it, first create an IMAP (Gmail, iCloud etc.) account. Then, add the account to the Outlook 2011 (For Mac) and MS Office for Window. Now drag emails into the IMAP server and switch to the Window. Now drag the emails from the IMAP server and drop them into your email. We can see how much time gets consumed in the process and how accurately you must perform it. So, to migrate Mac Outlook to Windows Outlook a third party tool becomes a necessity also, no end user efforts are required. OLM to PST converter i.e. available online, can easily convert the OLM file into PST within a few clicks. Free OLM to PST Converter converts first 25 emails per folder. Step 1: Download the Tool and install on your computer. Click on Add File button to load files that you want to export. Step 2: The software will scan and preview entire mail components after completing the scan process. Step 3: Now press Export button to start the conversion process. Step 4: Select PST from Export options >> Provide Destination path and click the export button. Step 5: The application starts conversion of MAC Outlook data files to the Windows Outlook file format and show scanning status on the software screen. Step 6: You will get a confirmation message once the export process gets over. Can I convert multiple OLM files to PST format? Yes, the software allows you to convert multiple OLM files at a time under the Personal License. Will I be able to recover corrupted OLM file before conversion? The software supports the healthy OLM files for conversion to PST not corrupted. What if i do wish to convert OLM to EML? You can convert your OLM file emails into EML format file as the software supports conversion into three file types: PST, MSG, and EML respectively. How can I know the working of the software before purchase? The software comes as a freeware trial edition. Get the trial version downloaded to test the functionalities of software. However, a few limitations on the conversion may apply as part of the demo limitation. Does the metadata remain as it is even after the conversion? Yes, the software successfully maintains, the metadata of each email converted from Outlook for Mac OLM file to Outlook for Windows PST. At work I had been using Outlook for Mac since a very long time. Though the inability to use its data on my Windows based Outlook at home using was quite frustrating.I was stuck with a query, How to open OLM file on Windows? However, coming across OLM file to Outlook PST Converter from QuickData saved me a lot of efforts I usually took! I was so overwhelmed with the tools ability of previewing all the emails before conversion. I had multiple olm files and wanted to migrate few of them after figuring out the emails. Thankfully this feature was at my rescue and a lot of time in the transfer got saved.